Sanjay Dutt biopic starring Ranbir Kapoor has become the third highest grossing Hindi film. Sanju director Rajkumar Hirani in an interview with IANS was noted saying that if he starts about media bashing on Ranbir Kapoor starrer Sanju, he can talk on it for the full day. The movie is picking up a headline because of that one scene in which a newspaper cutting titled "RDX in a truck parked in Dutt house?" Ranbir Kapoor’s blockbuster Sanjay Dutt movie was all about whitewashing, media bashing and glorification. 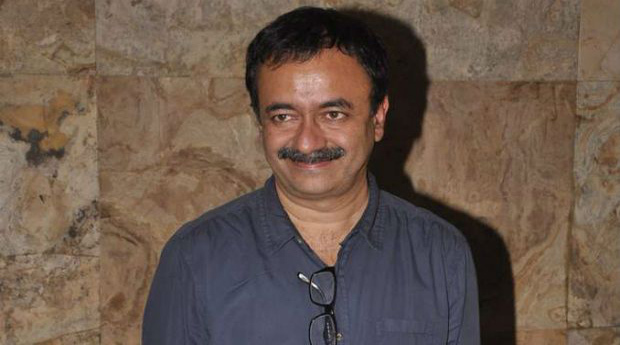 Well, the director of the third highest grossing film Sanju, Rajkumar Hirani in an interview with IANS was noted saying that if he starts on the media bashing topic, he can talk on it for the full day. He claims that people think Sanjay Dutt has RDX because it was printed in newspapers. The director, who has given amazing movies to Bollywood told IANS that they have criticised the one news not the media. Giving an example, the director said that when the makers show a corrupt police officer, it doesn’t mean all policemen are wrong. It’s a section that they are trying to show. Where have I glorified is what I want to ask, he said. In series of question, he added, showing that he slept with his friend’s girlfriend or kept a gun or even made a girl wear a commode on her neck is a glorification? He concluded by saying that it is ridiculous to think that the makers tried to whitewash or do any kind of media bashing because if money was the criteria, he would have made 5 Munnabhais back-to-back or 3 Idiots parts 2, 3, 4, 5, 6. ALSO READ: Monalisa aka Antara Biswas’s bold avatar is driving Internet crazy!